To join our Club use the 'CONTACT US' page to register your interest. Then come along to our next meeting or join us on a Club Run. Rockingham Cycling Club is a long-established club based in Swinton, South Yorkshire. 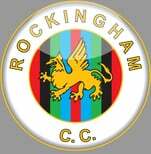 During the 1960s and 1970s Rockingham CC were arguably one of the top cycling clubs in the Country. The Club is affiliated to the following cycling bodies: Cycling Time Trials (CTT), British Cycling (BC), Yorkshire Cycling Federation (YCF). Past and present members have included National Champions, National Team Champions, National Junior Champions, National Competition Record holders, as well as representing Great Britain at International level. RCC is open to new members, both active and social, for an annual membership fee of £5.00 for adults and free for under 18s. Subsciptions are payable at the A.G.M. each year. THERE IS A PIE & PEA SUPPER & BEETLE DRIVE ON FRIDAY THE 12TH. OF APRIL AT MEXBROUGH ATHLETIC CLUB, 7 P.M. FOR 7.30 P.M. START. TICKETS ARE £4 FOR ADULTS, £2.50 FOR CHILDREN 12 & UNDER. PLEASE CONTACT JAYNE & IAN AMBLER OR ANY COMMITTEE MEMBER FOR TICKETS. If you have any special requests such as size amendments or certain date requirements please state in special instructions box or follow up email or call 01522 778805, where one of the team will be happy to help you.